C.W. Goodlander designed and constructed the Goodlander Hotel in 1887. 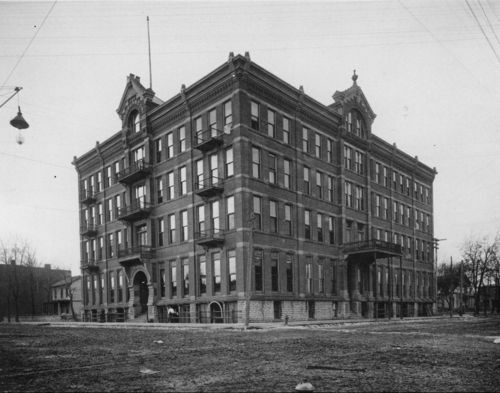 The hotel featured 100 rooms with gas and electric lights and hot and cold water throughout the building.